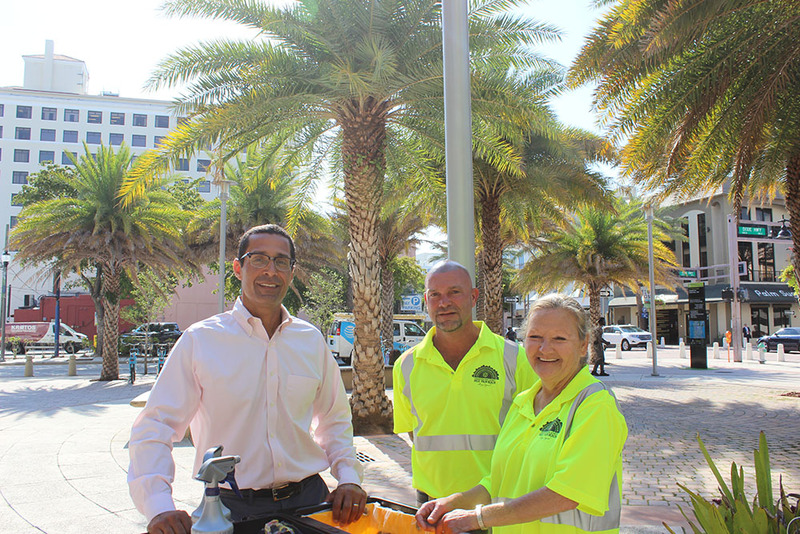 In an effort to maintain the clean and welcoming atmosphere of the Downtown District, the West Palm Beach Downtown Development Authority (DDA) partnered with The Lord’s Place, to provide cleaning positions as part of the brand new Downtown Clean Team! 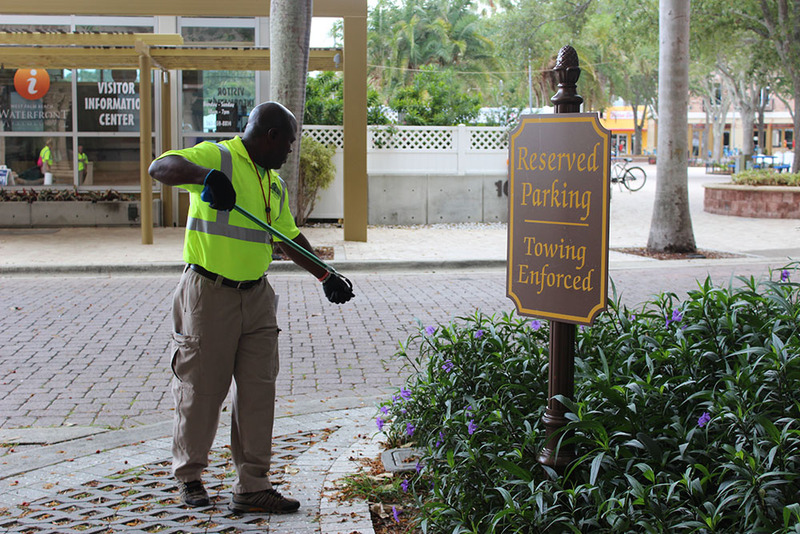 The team is tasked with maintaining public spaces throughout the district Monday – Friday from 8 a.m. – 1 p.m. 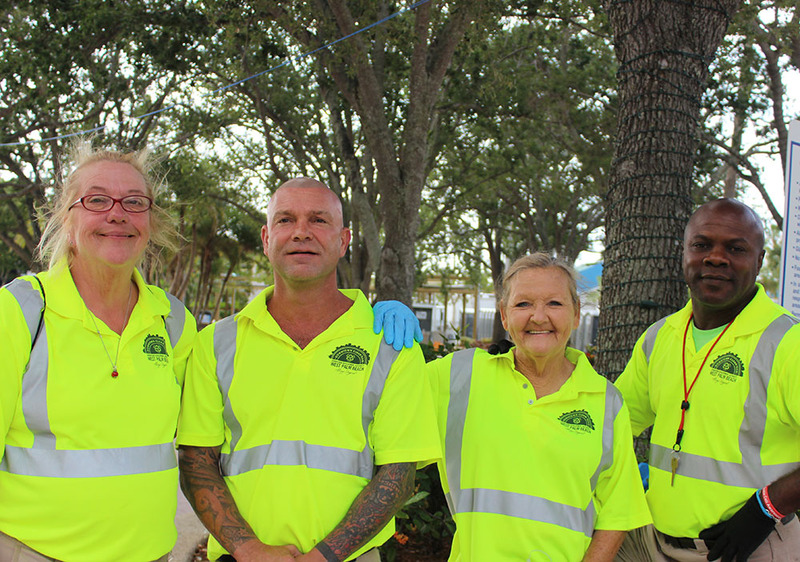 The Downtown Clean Team program will be managed through The Lord’s Place Employment and Training Program. 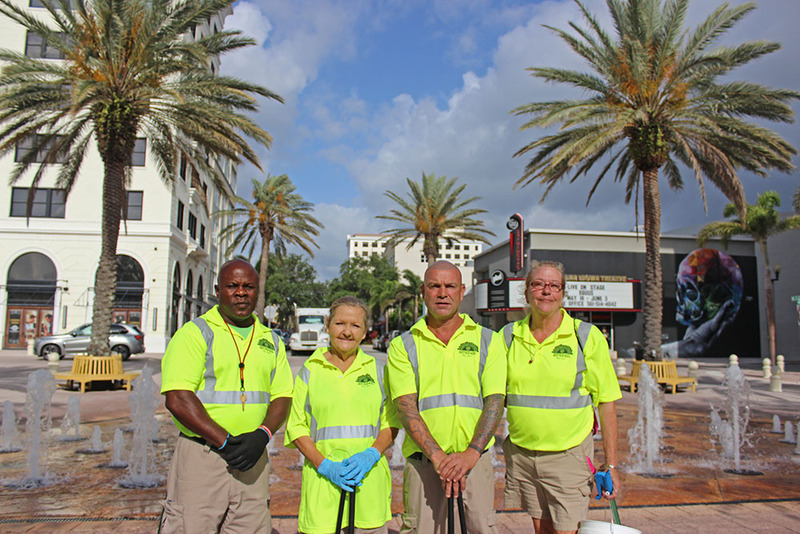 Clean Team members will be responsible for clearing litter from the Downtown District, removing stickers, sweeping and clearing sidewalks, and reporting issues such as graffiti, inoperable traffic signals or public realm repairs, and landscaping issues like broken sprinklers or downed branches. Click Here to view our zones within the Downtown District. 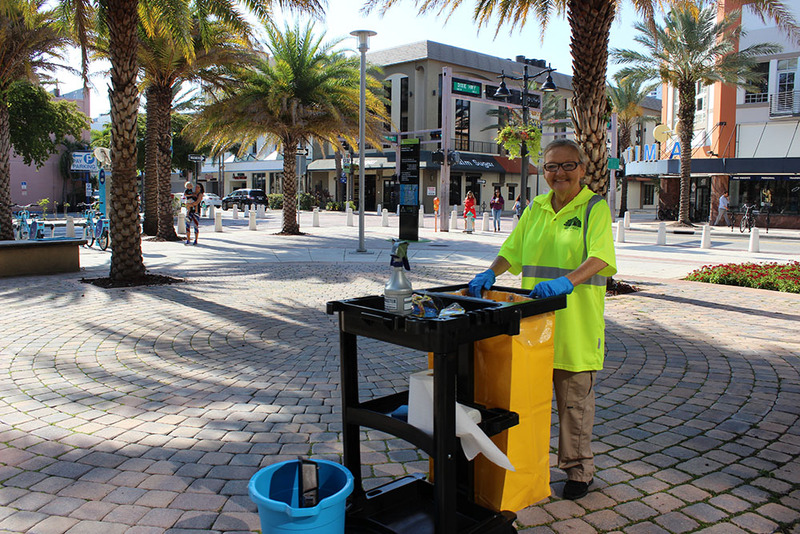 For more information, contact Catherine Ast, DDA’s District Services Manager at (561)833-8873.